What Infomercial Fitness Product Would You Try? 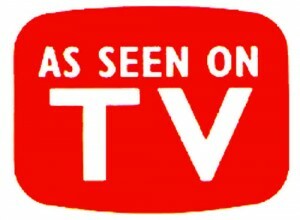 Any good infomercial will have you convinced that its product will solve all of your problems. The Ginsu knife? At the ready when you need to cut through boots! The Showtime Rotisserie? Set it and forget it! The Smooth Away hair remover? No more razors ever! The ShamWow? I spill all the time! And of course there are the fitness products, such as the Shake Weight that will have you convinced that you’ll be on your way to studliness in just a few minutes a day. I sometimes get sucked into infomercials when I really should be sleeping, but I haven’t picked up the phone yet. Which product has you most curious? Can’t see poll? Click here. Actually, I've done P90X four times and will be starting a fifth round on Monday. I absolutely love it!! oh what about the "bump its" Who doesn't want hair that's 9 feet tall? 10-Minute Trainer. Totally want it. I did always want to try the total gym. I think it would be useful to most people. Less of a gimmick then most fitness gadgets. I bought YBB straight off an infomercial. Thankfully, I never regretted that impulse buy. It was one of the tools I used to start me on the road toward better health and fitness. Rah rah! Dang! I need to change my vote, as I have confused the Ab Roller with the Ab Circle Pro, which looks fun like something on a playground. As for which one I would try if I was shooting for the one that looked like it would work the best: P90X. Bought Tubro Jam based on infomercial and a friend's testimony – love it!!! My fingers are itching to dial for the Core Rhythms. I broke down and got P90X after being mesmerized by the infomercials for months. It is a terrific workout program!! P90X!!!! Trainer, Tony Horton rocks…I'm a huge fan. P90X is really challenging but the results are awesome!